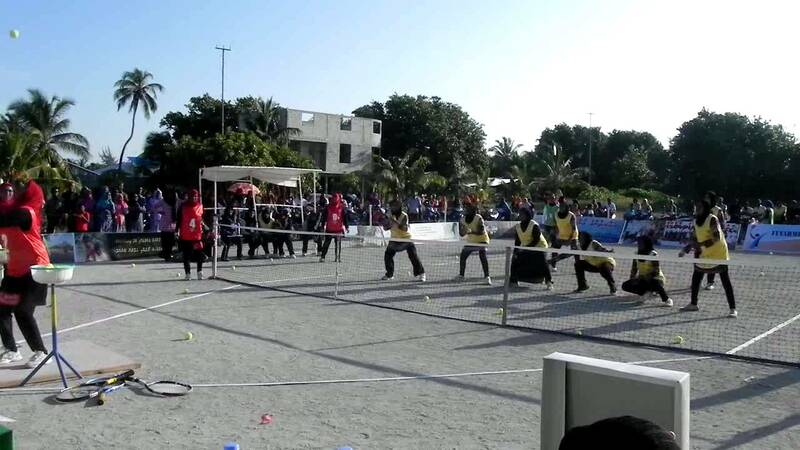 Bashi is an ancient game played only in the Maldives and is the most popular sports played by women . It was traditionally played with a hand-woven bashi (ball made from coconut palm leaves) by two teams of 11 players. During the time of the country’s first President, Mohamed Amin Didi, a modernised version of the sport by using a tennis ball instead of the hand-woven ball was introduced . Later the coconut tree wooden bat was replaced with a tennis racket and now the sport is a favorite throughout the country. Bashi is played on a tennis like court. A woman is facing backwards to the opposite team, stands with her back to the net and serves a tennis ball over her head backwards. On the other side of the net a team of girls try to catch the tennis ball. Broken fingers are very common. This entry was posted in culture, folklore, history, Sports, tradition, woman. Tagged ball, bashi, culture, island, local, Maldives, net, onlyinMaldives, popular, racket, sport, Sports, tennis, tradition, Travel, women.